Dual slides in the bedroom and dining/living areas. 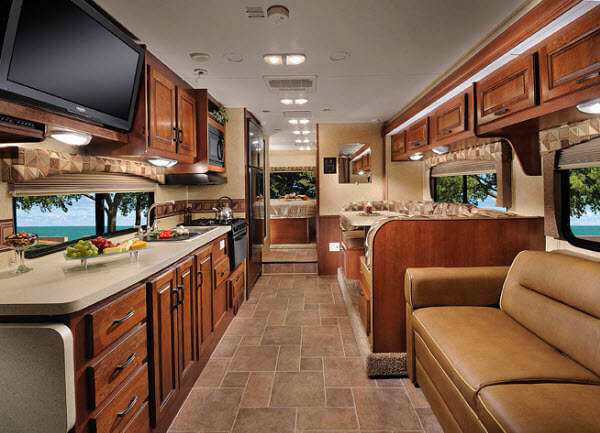 Private Queen bedroom, overcab bunks, sofa sleeper and dinette sleeper. Bathroom with vanity and shower. Kitchen with refer, microwave and cooktop. 3-burner Cooktop, Microwave, Refrigerator, Oven, Sink. U-shaped Dinette, Sofa, Entertainment Center with a Flat Screen TV and DVD player.